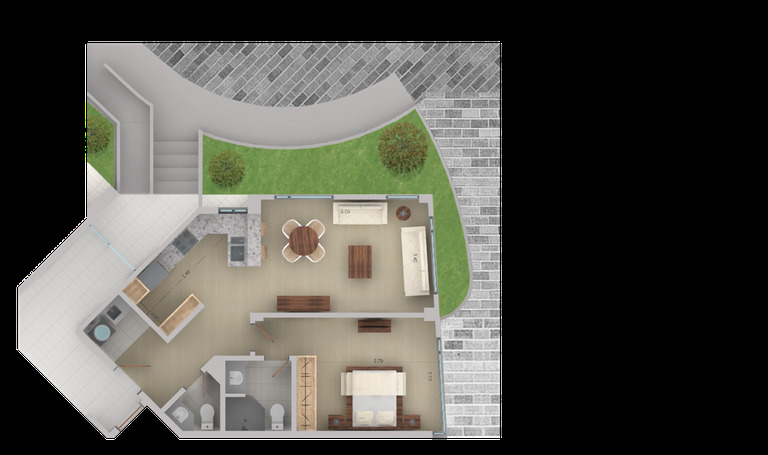 Exclusive Condo for Sale in Cumbayá, one of the best areas to live outside of Quito! The luxury finishes and attention to detail in all areas are what distinguish ANANTARA as an attractive option for luxury living. All of the units have been designed with travertine marble on the facade, flowing seamlessly with the natural feeling of the gardens and private green spaces. The communal area provides access to the pool which is covered by a pergola (with 8 solar panels), as well as the common room and gym. To maintain the harmony between all of the different spaces within the community, all of the cables are run underground for both electricity and phone/internet. ANANTARA also has an electrical transformer with enough power to provide 100% of the energy to the community. 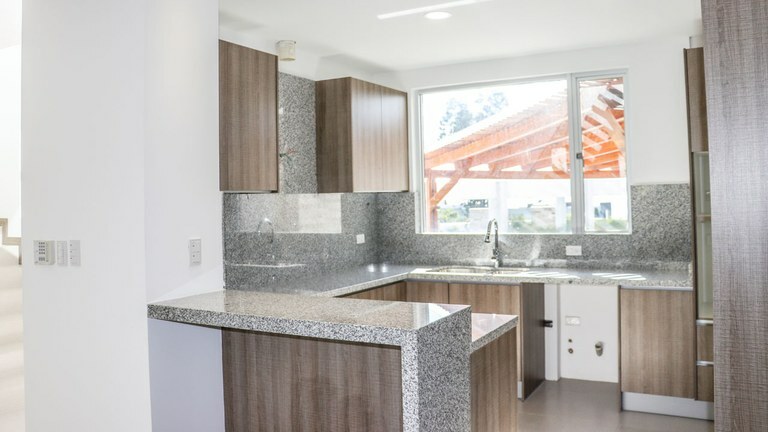 All units in ANTARA are delivered completely finished with lights, mirrors, glass doors in the bathrooms, as well as additional kitchen accessories such as a built-in trash can. All condos also have a BBQ area with a pergola made out of wood, aluminum, and glass, as well as an outdoor bar with a grill and sink.